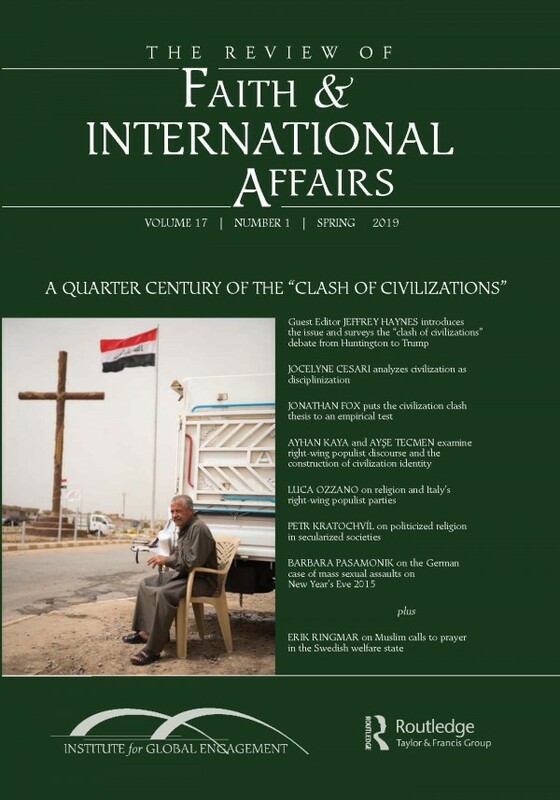 The spring 2019 issue of The Review of Faith & International Affairs is a special theme issue marking “A Quarter Century of the ‘Clash of Civilizations". The issue brings together eight distinguished scholars to examine various issues contained within a general research question: does Samuel Huntington’s controversial ‘clash of civilizations’ paradigm help explain current Western governments’ responses to Muslim migration and related security issues? The issue emerges from a June 2018 seminar convened by Jeffrey Haynes and supported by the Berlin office of the Dialogue of Civilizations Research Institute.